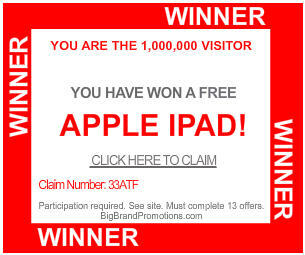 Ever notice how those (bogus) ads that appear in Facebook or on blogs always claim that you have just won or will otherwise be given free the latest and greatest Apple products? You know, iPod, iPod Touch, MacBook, iPhone? Yep, the iPad has joined the list. So, when was the last time you saw one of these for, say, a Microsoft Zune? “A Microsoft what?”, most of you ask.